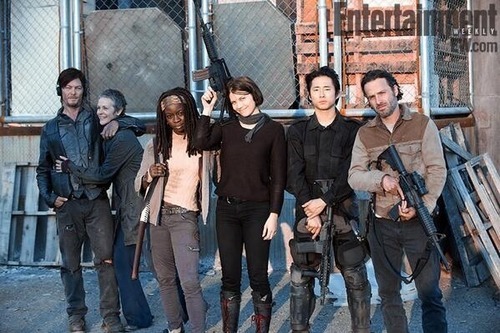 The Walking Dead Cast on EW. . Wallpaper and background images in the ang paglakad patay club tagged: the walking dead. This ang paglakad patay photo contains chainlink bakod, kalye, lungsod tanawin, urban na setting, and carriageway. There might also be brownstone.